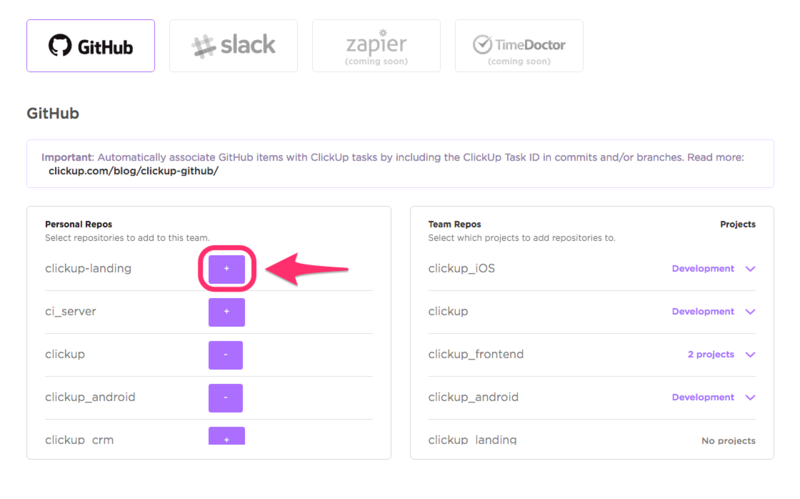 See all Github activity related to a task directly in ClickUp. Optionally receive ClickUp notifications when new Github activity items are added to tasks. 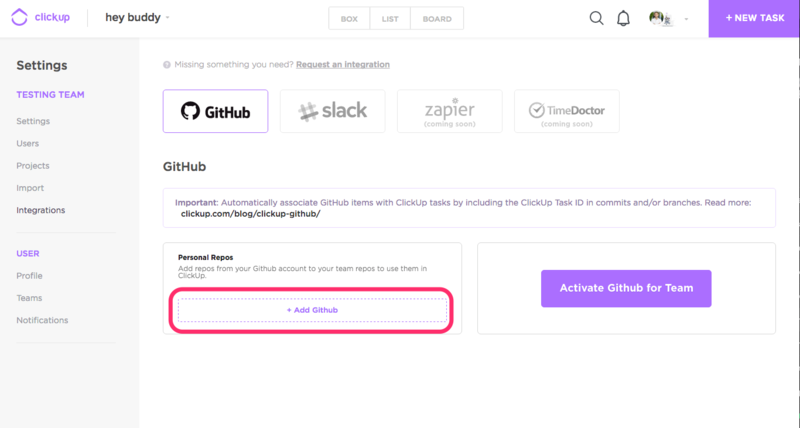 Automatically (or manually) attach Github activity to ClickUp tasks. 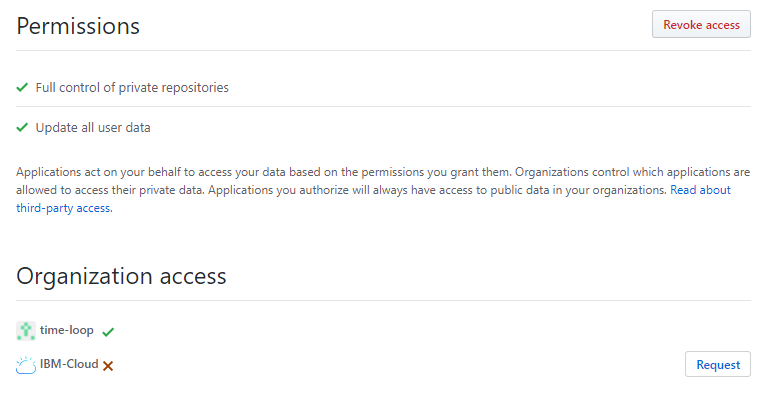 Note: Only admins can attach repositories to your Team's Spaces. Click Add Github to authorize ClickUp. 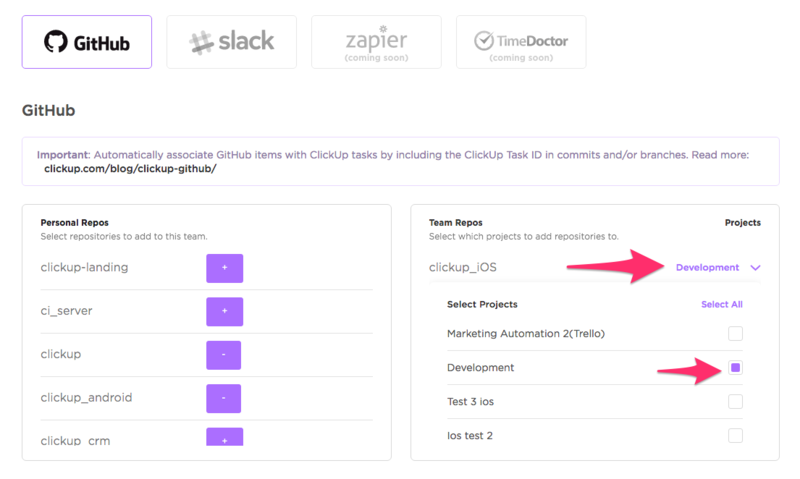 Click the big purple button to activate Github for your Team. 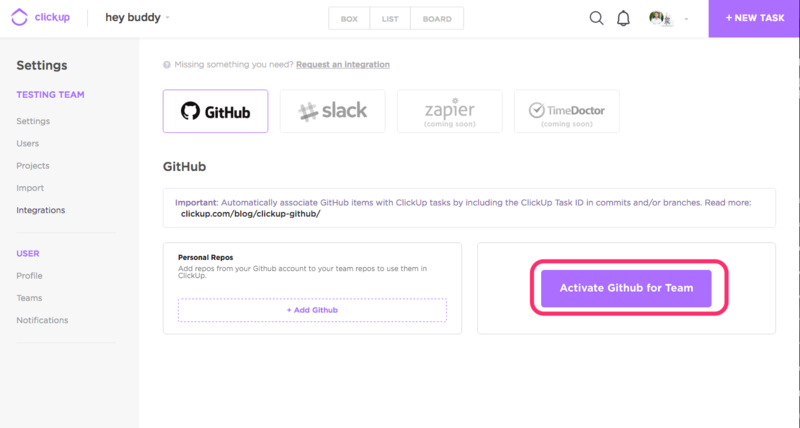 ClickUp allows multiple people to authorize Github within your Team, and also permits you to customize which repositories are shared with your Team. This means that you can authorize your personal account without attaching all of your repositories; you can customize which ones to attach. Attaching a repository does not give users access to your repository's codebase in anyway. It simply allows users to attach history items for that repository to the Space(s) you specify. You can customize which Spaces that repositories are attached to by expanding the drop-down on the right side of the Team Repos . Select one or more Spaces to attach repositories to. In order to attach Github items to tasks, the Space must be attached to the repository. Add the ClickUp task ID in any part of the commit or pull request title with a hashtag in front of it. Soon, you’ll be able to perform Git actions directly inside of ClickUp. Do you ever need to create a new feature branch? With Actions, you’ll be able to click to branch off and associate the branch and future commits to a ClickUp task automatically. Having trouble with Github? Chat with one of their representatives here.